In 1923, a new gymnasium was built on campus, along with an annex that housed a swimming pool, thanks to the assistance of Mr. Irby. 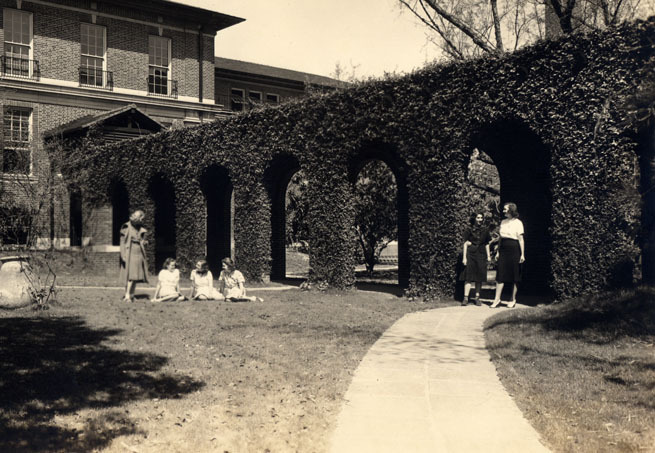 Besides a new gymnasium and pool, tennis courts and an athletic field were also built between 1923 and 1929, as well as corresponding walks and driveways. Through the efforts of Physical Education instructor, Clara Baer, on both the Broadway and Washington Avenue campuses, the physical health of Newcomb's students was maintained. Besides inventing Newcomb Ball, Ms. Baer fought to allow girls to wear bloomers and stockings instead of full skirts, but it took until 1935 for students to be allowed to wear more comfortable gym clothing. 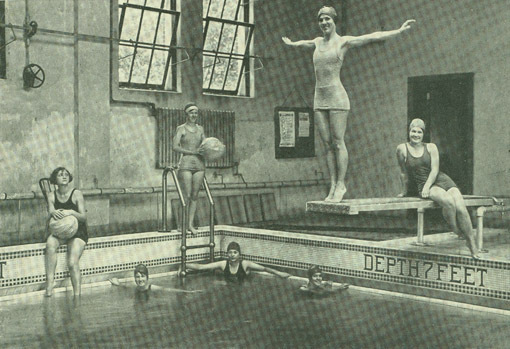 The swimming pool was opened in 1924, also through a donation by William Irby, and wasn't only used for swim classes. The Newcomb synchronized swim team, the Barracudas, dominated the waters with their complex performances. Unfortunately, the synchronized swimming program ended at Newcomb when coach Alicia Crew left the university, and eventually the swimming test graduation requirement was lifted, both in the late 1970s. Neither left without making a positive impression about exercise to the undergraduates that participated. Woodward Way, which was named after Ellsworth Woodward, a former art professor at Newcomb, was the passage that linked the art school and the gym, but because the gym is now part of the art building, the pool is the sculpture studio, and a sculpture garden is located in this area. Due to renovations in the 1990s, Woodward Way is now more of an enclosed hallway that connects the wings of the building. Please proceed to the Art Building, campus building number 83. 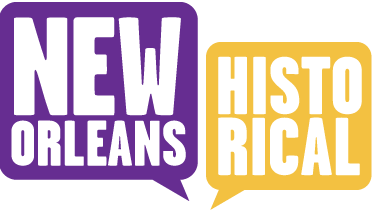 Newcomb College Institute, Lauren Dean, “Broadway Campus Gymnasium, Pool, and Woodward Way,” New Orleans Historical, accessed April 24, 2019, https://neworleanshistorical.org/items/show/182.